Implementing the best website design possible should always be an essential part of any online retailer's business plan. Sure, you can sell on big sites like Amazon and BigCommerce without the hassle associated with creating your own site, but serious sellers know that it's crucial to have you own web presence to really build customer loyalty and widen your customer base. If you don't have an attractive, easy-to-use, and fully functional online store... don't quit your day job. The biggest hurdle for most online retailers is that they are not web designers, and don't have the know-how required to build a site using HTML or CSS. For that matter, many don't even know what those newfangled acronyms stand for. Fortunately, there are open-source tools called content management systems (CMS) now available that will let the novices put together functional websites in minutes. You don't need to know any code or have any technical knowledge to get it done. 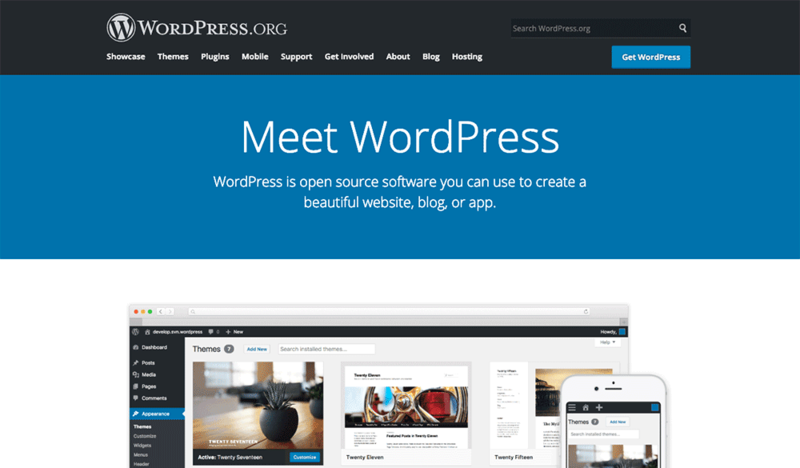 Chances are, you've heard of WordPress, because it's the most popular CMS out there. However, most popular doesn't necessarily mean the best. And if you've already got your website up and running, you won't want to change systems, even if you suspect you chose the wrong one. You need to do the research beforehand, and that's where we can help. We've gathered the strengths and weaknesses of each of these top four site builders for the best e-commerce sites available today to make it easy for you. When WordPress started out it was designed to serve as a platform exclusively for blogging, but it has gotten way beyond that. There are approximately 60 million active WordPress sites, which is about 40 percent of all websites in existence. That's a powerful testimony right there, and with so many users there are plenty of forums providing support available online. The biggest advantage of WordPress? It's pretty much a turnkey set-up. A lot of web hosting outfits can automatically install WordPress for you, so your website could be operational faster than you can brew a cup of coffee. If you want a more customized design, you can still get it done in less than half an hour. That is, if you're so inclined to use the many free themes, plug-ins, and tools available. Of course, if you want your website to stand out, you'll probably want a non-standard theme and some fancy plugins to play with, not all of which are available for free. If this is your first time to design a website, you may want play around with the free stuff first before investing any cash. A significant plus with WordPress from the perspective of an online retailer is that it's highly searchable — if the proper plugins are used. Being so search friendly you can potentially drive a lot of traffic to your site organically. WordPress doesn't handle large websites too well, and it's not very scalable. Because it was originally designed as a blogging tool, it is excellent for that purpose, but as an e-commerce site it can be unwieldy when categories and items are frequently added and removed, and when there are a lot of visitors at any one time. Adding and removing so many items/categories will require you to check and clean your registry frequently. The same can be said of adopting a ton of plugins. If you don't know what I'm talking about, then you probably don't want to deal with it. As an online retailer, you want a lot of traffic on your site so if you intend to eventually go big, WordPress may give you problems later on unless you get really good with tweaking the site. Security is also a bit of a concern with WordPress, but there are plugins for that too. Also, even though WordPress has a lot of themes, they all look very similar. It's not a deal breaker, but it can make you seem like you're an industry member, rather than an industry leader. 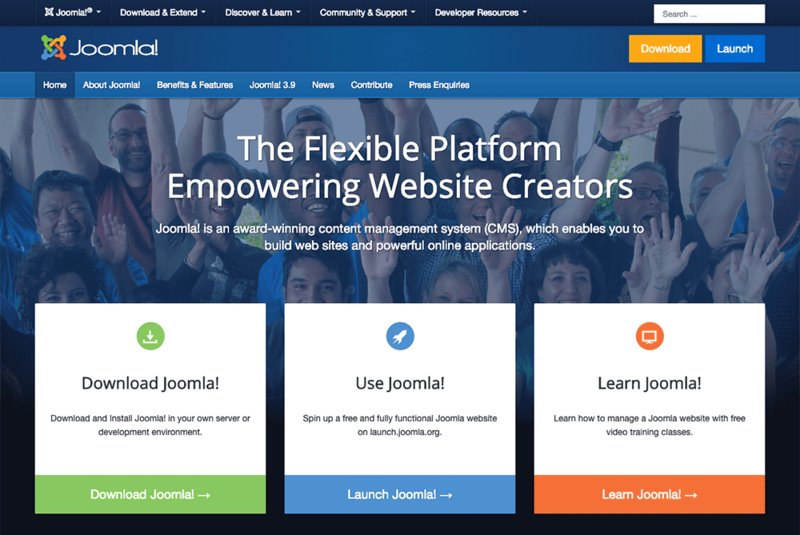 Joomla came out a couple of years after WordPress and most website designers agree that it's a more powerful and versatile CMS than its predecessor. It is a particularly good choice for creating social networking and medium-sized e-commerce sites, because the standard plugins make it a very simple procedure. Once you figure it out, that is. Joomla has a steeper learning curve than WordPress, and WordPress can already be a bear. It'll take an inexperienced web designer a bit longer to understand how to work with it. Once you get the hang of it, however, managing your Joomla e-commerce site is often pretty smooth sailing. If you do run into trouble, Joomla developers encourage users to support each other by maintaining a very proactive help portal on its site, something that is a bit lacking on the WordPress site. Joomla is also at a disadvantage when it comes to search engine optimization (SEO) features. While there are plugins to improve searchability, it is not yet on par with WordPress. This is not good for e-commerce sites, but the growing popularity and the continuous improvement of its features could mean that Joomla may soon catch up with WordPress in this aspect. In terms of scalability, Joomla has the advantage of being designed as an enterprise-grade system, so it can handle large volumes of content and traffic much better than WordPress. This makes Joomla a good CMS for corporate websites as well, although it is a little late in adding support for Access Control List (ACL), which enables the web designer to grant other users permission to make changes to a website. 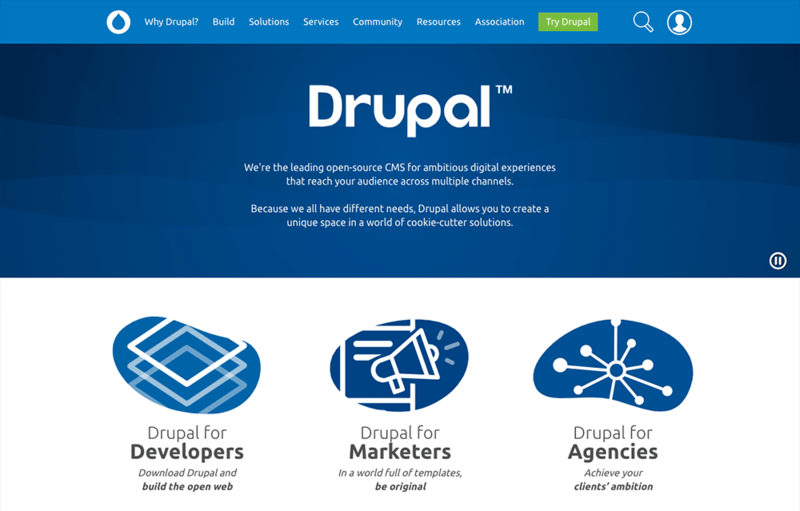 While it is not as popular as WordPress, Drupal is still a very powerful and efficient CMS much favored by tech-savvy designers for all types of websites, including e-commerce. It doesn't require as many resources as WordPress or Joomla, so your page typically loads faster. This is a definite plus for e-commerce sites. You can also probably stay with a basic web hosting plan comparatively longer before you need to upgrade your service. It is the most technically advanced of the three CMS platforms we've discussed so far, but it's also the most difficult to use. However, because it's more grassroots, it is possible for someone with web programming experience to tweak the code or even the root files. Last, but certainly not least, is SaleHoo Stores. Our own offering has the advantage of being built distinctly for e-commerce purposes. As such it is scalable, searchable, and infinitely usable. Our developers have ensured an intuitive, easy to use, and customizable interface for you to use in all your e-commerce endeavors. SaleHoo Stores allows you to choose from 15 different professional templates, provides comprehensive 24/7 support resources, and includes a suite of marketing tools tailored to your e-commerce needs. You can customize your theme with multiple templates, optimize your color schemes, and even pick from a variety of preset logos for your business. Our customer support forums and seller education center offer a wide variety of educational materials and advice for nearly every issue imaginable, around the clock. And SaleHoo developers are available for advanced problems during regular work hours. Best of all is our quick and seamless setup process: We build the site for you in a matter of minutes. There is zero technical knowledge required on your part, so you can concentrate on what you need to, which is selling your inventory. And if you're making the leap from eBay seller to independent dropshipper, you can even import your inventory direct from eBay to your SaleHoo Store. 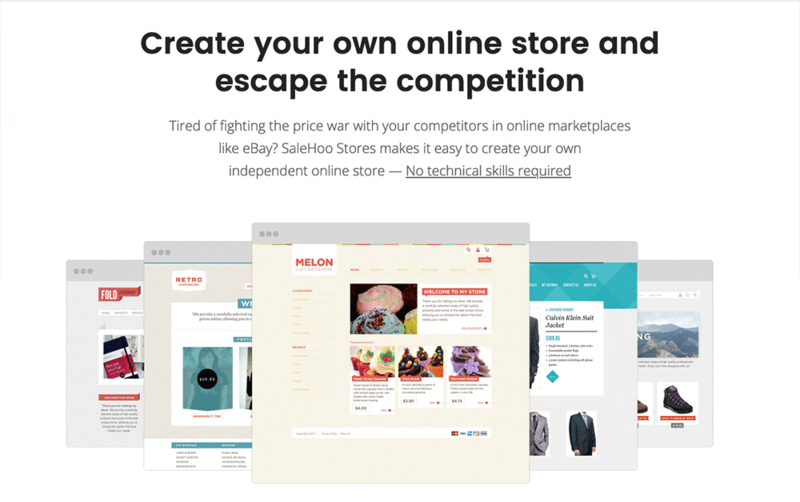 If there's one word to describe SaleHoo Stores, that sets it apart from the rest of these site builders, it's “streamlined.” It's got everything you need to build a competitive e-commerce presence on the web, but nothing you don't. The true advantage of SaleHoo Stores is the ability to concentrate on the things that concern you most, gaining exposure for your brand, and selling a quality product to your customers. All of this comes at a competitive subscription-based pricing plan. So there you have it, the basic features of the top 4 site builders that the best e-commerce sites use. Take your time in deciding which to use; better yet, give each a shot get a feel for the system you like best before making your final choice. There are plenty of free themes available for WP, Joomla, and Drupal—and for SaleHoo Stores, you can begin your free trial today. So which do you think best serves your needs? Let us know in the comments.